Is 7 your lucky number? Even if it's not, you may want to check out these trendy skinnies with floral sequins. This all over Floral Sequin Pant is both striking and pretty in a modern and opulent design. Using a 9.2 oz. stretch sequined fabric with a mesh backing, the sequin fabric is bonded to a stretch knit. Luxe hardware completes the elegant design and creates a showstopper. 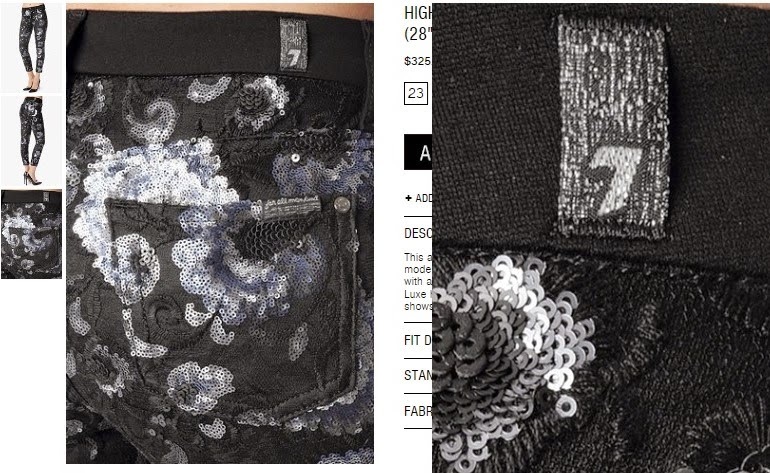 Learn more about fashion brands such as 7 for All Mankind here on Apparel Search.